I’m excited to formally announce the new title of this little blog I write. 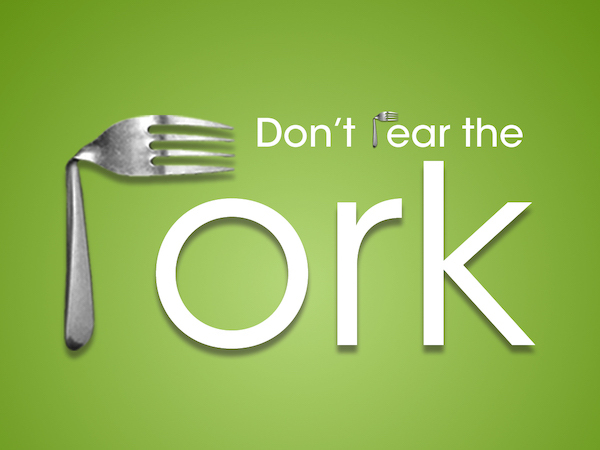 If you follow me you may have noticed the new URL, Don’t Fear the Fork, appear a couple of weeks ago. I had been thinking of names and waiting patiently for the Universe to inspire me for months. Then, one day when I was walking into a Starbucks, a student athlete was walking out. Her jersey said “Fear the Fork.” She was a student at University of Missouri – St. Louis where their mascot is a Titan. I thought it was very clever but doing the kind of work I do in Body Positivity it also got me thinking. 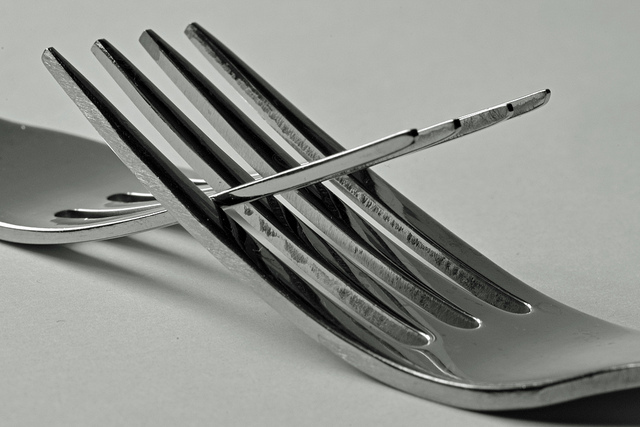 So many of us ‘fear the fork.’ Our relationships with food can become obsessive. Always thinking/worrying about what we just ate, are about to eat, want to eat, should eat, and on and on….. Through my work as a Body Positive counselor, I help people heal their relationships with their body and find peace with food. Let’s make self-compassion our priority over caring about what others think! Let’s practice radical self-acceptance and strive to be the best versions of ourselves. Let’s be comfortable in our skin and in being or authentic selves. Let’s all experience the freedom that comes with these actions!! Can I get an Amen?!? Welcome Back!! 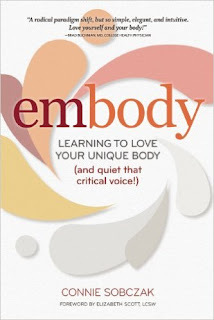 I hope you have been enjoying and benefitting from this series of posts on the five competencies of being Body Positive. Being part of a BP community means supporting others to feel better about their lives because they choose to bring out the best in one another. Coming together to celebrate life—the hardships as well as the triumphs—and to learn from the unique experiences and perspectives each individual brings to the group. Body bashing is not the focus of conversation instead help one another focus on the positive things your bodies are doing for you. Find the humor and acceptance in your changing bodies. Share the thoughts and tips that work for you. Share the doctors and therapists that have helped you. Don't be shy! Ask your therapist or counselor if they would put a monthly group of like minded BP'ers together to meet on a regular basis. Be a resource and source of compassion, inspiration and love for one another. One last note, as you proceed along this journey, making positive changes, listening to your inner voice instead of the voices of those around you, you will be moving away from the parts of yourself that no longer serve you. As you distance yourself from those self-destructive parts that cause you to be unhappy you will be facing the truth about some relationships you are in that are contributing to that unhappiness. Some may be as negative as the behaviors you are leaving behind while others may be the cause of those negative thoughts and behaviors. You will have to make decisions about leaving these relationships behind. Listen closely to what feels right in your heart and make these decisions knowing that you have become an expert at listening to your inner voice. Keep your physical and mental health at the very top of your priority list. While it can be very hard to leave relationships of any kind, remember that it is more than OK to make a choice that is in your best interest. In doing so you are making room for new loving and supportive relationships to take their place. If you have any questions or feedback I would love to hear from you! Remember, be kind to yourself. Treat yourself with Love and Respect. You deserve all that and more! 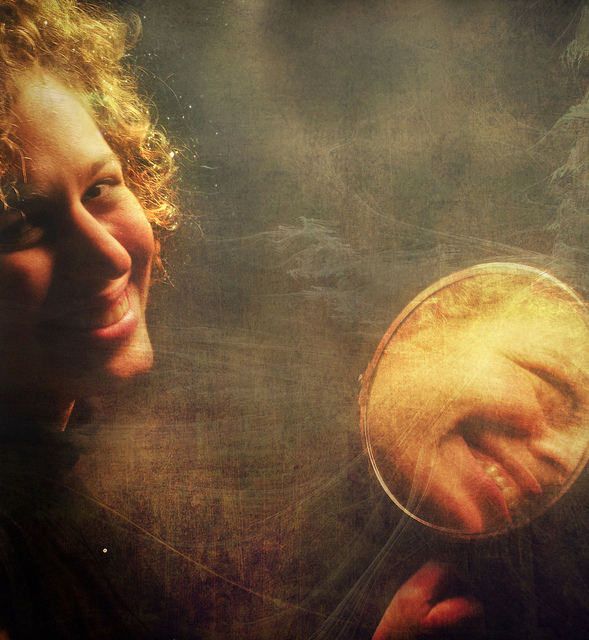 Today I'm talking about my favorite topic, Declaring Your Own Authentic Beauty. I know, I know, you're dying to know why this one is my favorite! Ok, I'll share. Through this declaration I have learned how to experience beauty as a creative, dynamic process. How to inhabit my unique body with joy and confidence. I have expanded my imagination to behold authentic beauty in myself and others. This is about looking in the mirror and loving who and what you see. I hear you grumbling and saying how can I love this body? I have fat, wrinkles, grey hair, crooked teeth. The list could go on and on. When you can love all of what you perceive as flaws and the journeys that brought them to you, you will begin to treat yourself with kindness and respect. This leads to you treating yourself better, being kinder to yourself, and making better choices about how you are going to take care of this body that you have a newfound love for. It's about no longer blaming yourself for mistakes you have made in the past and moving forward with a brand new perspective! If you are blind to your authentic beauty, you will be more susceptible to harmful messages that society churns out promoting insecurity and doubt. And, as we know, the behaviors that go along with attempts to fundamentally change our bodies can lead us to worse health over time. Seeing your beauty is not an exercise in vanity—it is a necessary component of good physical and emotional health. I teach the Body Positive program in a local school to girls in 3rd-6th grades. When we talk about this, they worry they will be viewed as conceited. Here's how I explain it to them: conceit is competitive, and generally arises out of people’s need to mask their insecurities; confident people, however, know their intrinsic value. Confidence is something that can be seen and felt. It doesn't have to be announced or acted out. I have clients who tell me they started out the day feeling great about themselves and confident and it fades away during the day. One of the biggest traps that may erode your confidence is comparing yourself to others. When we can honor that diversity exists on every level, we observe difference for what it actually is—just different. Embrace this ideal and you will no longer feel the need to compare or judge. You will be comfortable being your real self without fear because you know that each of us is no better or worse than any other person on the planet. No beauty hierarchy exists, only difference, and we learn to see genuine beauty in ourselves and in all people. When that self-criticism rears its ugly head again, and it will, ask yourself where it is coming from. Are you tired, angry, disappointed about something in your life? Be compassionate towards yourself and recognize that none of those things have anything to do with who you are as a person worthy of love and respect from yourself and those around you. Take a moment and practice the Self-Care and Self-Love we talked about in past blogs. Tell yourself how special you are (even if it takes a bit to believe it again). Connect with a Body Positive Community. I'll be talking more about this last competency in the next blog post. Until then, you are beautiful, you are special, and you are loved.